After a visit to Cuba in April 2015, Eliane and Lara share their “roadtrip” experience on “Notes of a Traveler”. 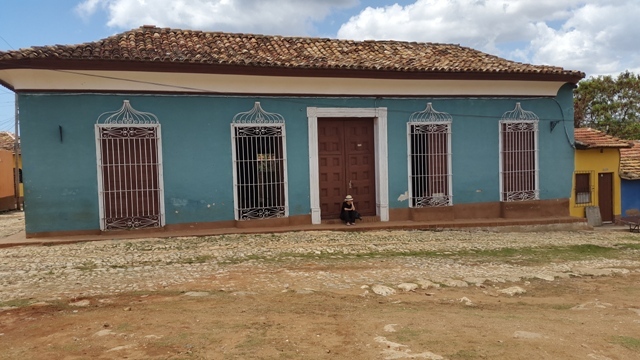 Staying in Cuban “casas” – private family establishments that provide paid lodging – allowed them to experience the local culture and traditions of Cuban families and live the “homey” and modest feel of this friendly place. Destinations: Varadero, Guama, Havana, Trinidad. Visa status: easy and fast, takes 1 week top. Located in the province of Matanza and one of the largest resort areas in the Caribbean, Varadero is Cuba’s most famous beach and a destination you don’t want to miss. With more than 20km of white sandy beaches, beautiful clear water, and rich landscape, you’ve got everything you need to forget the world for a few days. Available activities: scuba diving, sailing, snorkeling, swimming with the dolphins, safari. The best places to go to at night: The Beatles’ pub (live bands), La Casa de La Musica (to dance), Bodeguita del Medio (famous restaurant and must-try). The coconut station – our favorite daily stop. The two-hour roadtrip to Guama offers beautiful scenery before reaching the province of Santiago de Cuba, on the Caribbean side, known also for its beautiful beaches and water activities. Laguna del Tesoro: accessible only by boat, the “Treasure Lake” leads to a beautiful tourist resort named Villa Guama built on 10 small islands. Sweet water swimming spot, Guama. Welcome to the land of rum, cigars, vintage cars, salsa and mambo…the land of happiness and Che Guevara love. A first sight at the city makes you understand you’ve landed in a special place that’s like nothing else. Losing yourself in Havana’s streets is the best way to pick up its scent. 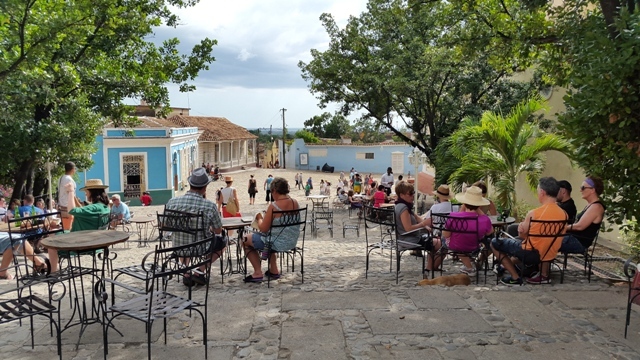 Whether you take a stroll in its plazas, visit its colonial monuments and museums, or just walk the narrow streets of its old town, there’s one thing that constantly strikes you: its unspoiled authenticity. Nice bar to try: Casa de la Musica, Miramar. Cuban bands playing on the streets, everywhere! For the love of Che! – Che Guevera huge mural, Havana. Four hours away from Havana by taxi, this 500-year old village is one of UNESCO’s world heritage sites since 1988. One of the best preserved cities in the Caribbean, the village takes you back in time with the sound of its horses crossing the cobbled streets, its 200-year old enchanting houses, its many art galleries, its Italian ice cream shops, and its guitar players wandering its streets. This charming area offers more to the eyes with its stunning beaches and mountains. We highly recommend not to miss the pleasure of horseback riding in the mountainous area of Trinidad, which leads you to a beautiful waterfall and natural pool. Casa de la Musica terrace, Trinidad. What to pack: essentials can be difficult to find in Cuba, especially that import is banned. This is why it’s better to be equipped with the basic of toiletry and medication. What to eat: seafood, rice and beans is what the main Cuban cuisine consists of. Make sure to try the typical churro dessert (fried-dough pastry) that you can find anywhere on the streets for 1 CUC (the local currency), the Sugar Cane Juice, the local Crystal cerveza, and definitely the Mojito and Pina Colada. General tips: always bargain while shopping, you can get anything at half price! Did you know? The country has 2 currencies, the Cuban Peso (CUP) for locals and the Cuban Convertible Peso (CUC) for tourists in substitution to foreign currencies, which is almost equal in value to the US dollar. *Story and pictures were provided by travelers, written and published by Notes of a Traveler with travelers’ permission.